Network analysis expert Valdis Krebs used GTP's White House visitors data to identify key relationships between Google employees and government officials. 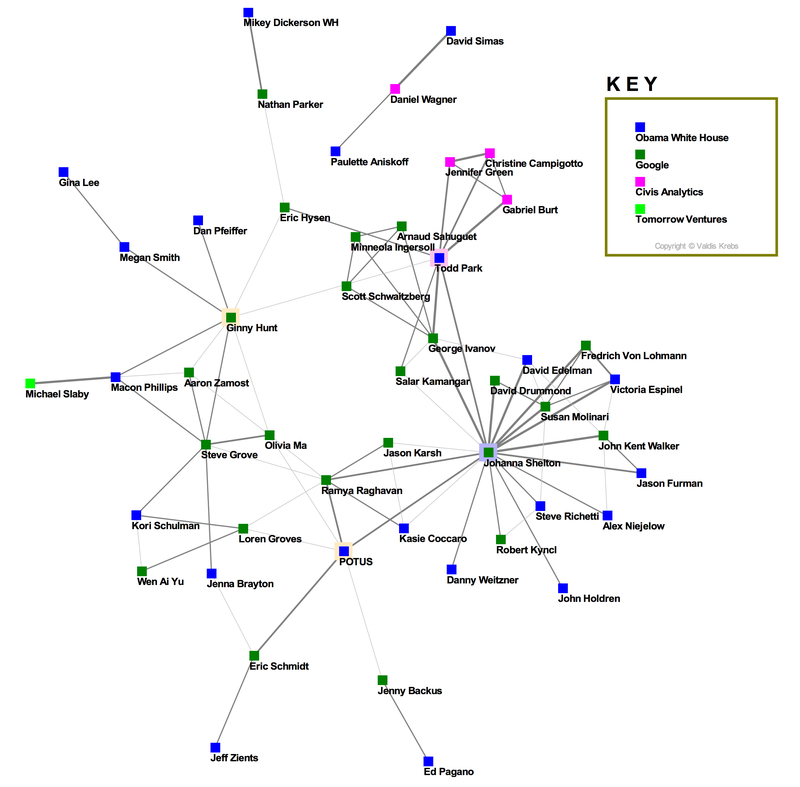 Krebs' network chart, reproduced below, shows the most important players in the White House meetings dataset. The thickness of the lines between people indicates the number of times that those two individuals met. Highlighted nodes indicate the most influential individuals. In addition to Johanna Shelton, Krebs identifies Google Strategist Ginny Hunt; former U.S. CTO Todd Park; and President Obama as central players in Google's interactions with the White House. GTP is making available all the datasets it compiles and encourages researchers to use it to explore Google's influence in government. Thanks to Valdis Krebs at Orgnet for allowing us to reproduce his work.